Developed through extensive community engagement, the prospectus is in part a job description, but also includes the strategic opportunities, aspirations and values of Emory, as well as leadership qualities that will be pivotal as prospective candidates are recruited. John Morgan, chair of the Emory University Board of Trustees, sent this message to the Emory community on Feb. 16 to announce that the trustees have approved the Presidential Selection Prospectus. I am writing to provide you with an update on the significant progress being made by the Presidential Selection Committee. As reported previously, the committee created subcommittees to meet with a broad range of constituents and stakeholders in the Emory community. The goal was to gather a diverse and inclusive sample of perspectives on the experience, qualities, and values the next president of Emory should possess. I am pleased to report that the committee’s engagement with the University community has been an extraordinary experience. During the past six weeks, the committee hosted 37 intensive listening and dialogue sessions to engage groups of faculty, staff, students, alumni, Emory Healthcare physicians, and other members of the Emory community. We also used online surveys to reach out to our alumni and Emory Healthcare employees. We have had substantial participation in these sessions — a clear demonstration of our community’s passion and dedication to the selection process and the opportunities it provides. The insights and perspectives gained during the sessions have proven invaluable, and from them the Presidential Selection Committee has developed a prospectus for the position that was approved by the Emory Board of Trustees on Friday, Feb. 12. Please visit the presidential selection web site to view the prospectus. 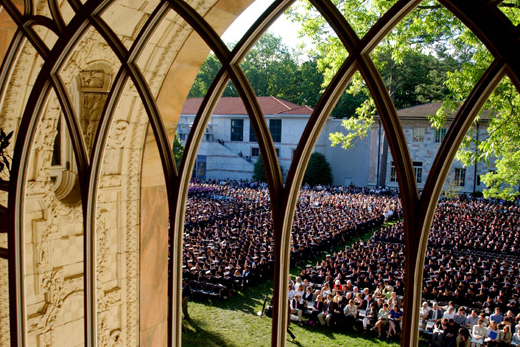 The prospectus is in part a job description but it also includes the strategic opportunities, aspirations, and deeply held and shared values of Emory, as well as the leadership qualities that will be pivotal as we recruit prospective candidates for consideration. The selection process continues at a steady and expeditious pace, and the Presidential Selection Committee is meeting the timeline it set back in December. Our top priority is to find the right president for Emory, and we remain committed to a deliberate, thorough, and transparent process. We will continue to keep you informed as the selection process progresses. Please understand that, in order to ensure the integrity and success of the search, we must be respectful of candidates’ privacy and maintain absolute confidentiality during the review process. Our presidential selection web site continues to serve as the hub of news and information related to the presidential selection process. Additionally, should you have questions at any time, please do not hesitate to contact us at PresidentSearch@emory.edu. Thank you for your ongoing input, support, and trust as we continue with the selection process for Emory’s next president.